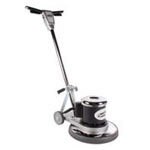 This Task-Pro 1500 RPM floor burnisher is powered by a 1.5 HP D.C. electric motor with safety lock-out switch and handle mounted circuit breaker. Where a high gloss finish is a must it's great for polishing floors in any commercial or retail setting. When used with our high gloss wax, this combination will leave your floors with the best possible shine. 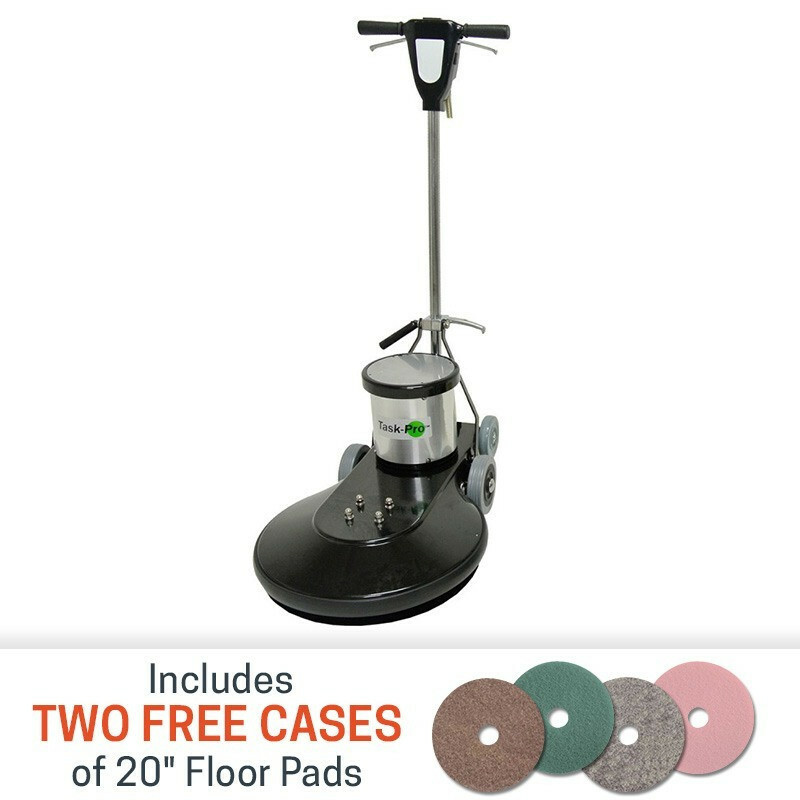 Large transport wheels allow for easy moving from place to place between burnishing jobs. 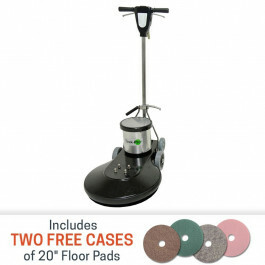 Compare to our other high speed electric floor burnisher buffers. * Please note that you can't spray buff or use too soft of a pad with this machine as it may pull too many amps and blow the circuit breaker found within the handle. If this does happen, simply allow the motor to cool down, reset the handle-mounted circuit breaker, and try using a more aggressive pad such as our 20 inch hair embedded pad. Length: 35" Width: 20" Height: 48"